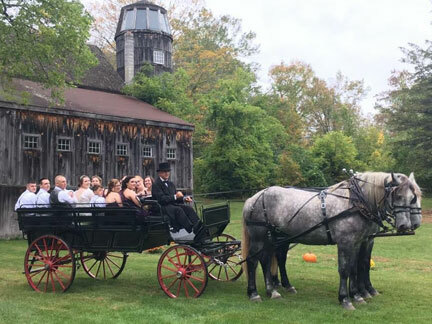 Cedar Knoll Farm prides itself in being the home of very beautiful and personable Percheron draft horses. 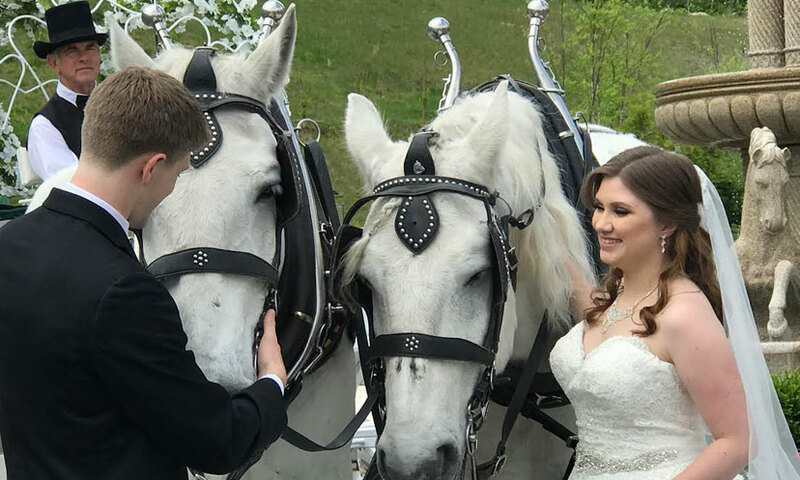 Our horses are accustomed to city traffic, street noises, and large public gatherings, and are safe and trustworthy in all kinds of situations. Below are some pictures and descriptions of the horses currently available for your event. Click HERE to download our brochure insert that gives you more information about our horses! Diesel is hands down our farm's most stately - and most famous - horse! He has appeared in Macy's Parade, at celebrity weddings, on TV, in films, in magazines and at other high profile events throughout the years. 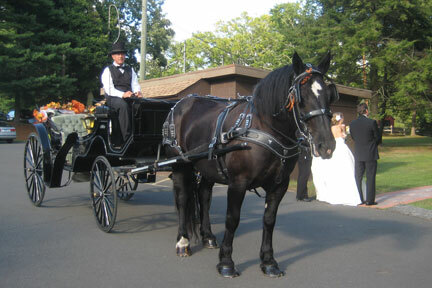 Diesel may be used single (shown here on our black vis-a-vis) or paired with another horse. See pictures of our horses in the Macy's Day Parade with Joan & Melissa Rivers HERE. 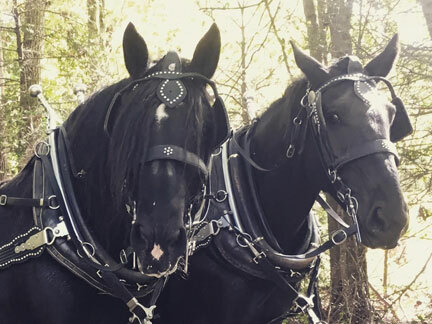 Dolly, our black Percheron mare, is happy to work single or paired with another horse. 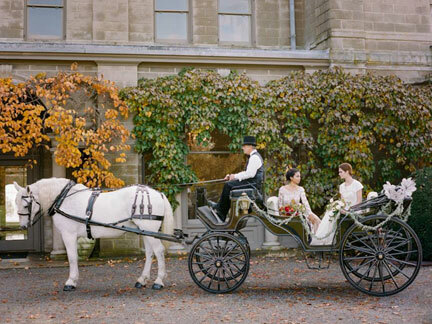 She looks stunning on our white vis-a-vis or Cinderella carriage, and makes a statement on our black vis-a-vis for a very formal look. She is a quiet, personable horse for any occasion, and loves to be photographed! Dexter (right) is generally paired with Dolly for an all-black team. He is a quiet, well seasoned, and beautiful horse. 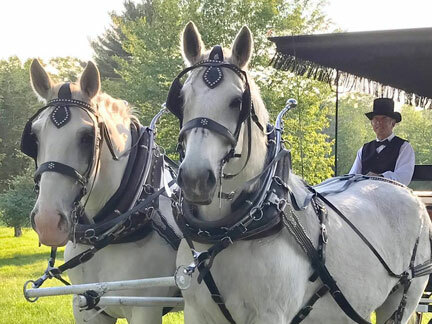 Beautiful Percherons still in their early dappling stages, Hank & Harvey will, over the years, dapple out more and eventually turn white! Harry (left) is a very personable, quiet horse that is accustomed to just about all kinds of events. He is generally paired with Diesel for that perfect team of all-white horses.